Martin Skov (b. 1968) is a Danish neuroaesthetcian who investigates the neurobiological underpinnings of aesthetic preferences using fMRI. He is also interested more generally in reward processing, the relation between emotion and cognition, and combines these interests as a fan of Brondby IF. 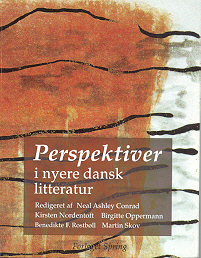 Nye perspetiver i dansk litteratur [Recent perspectives in Danish literature]. Eds. N.A. Conrad, K. Nordentoft, B. Oppermann, B.F. Rostbøll & M. Skov. Forlaget Spring 1997. The Roman Jakobson Centennial Symposium. 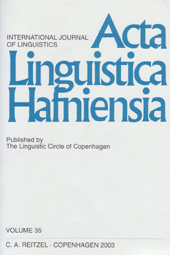 Acta Linguistica Hafniensia Vol. 29. Eds. P.Aa. Brandt, F. Gregersen, F. Stjernfelt & M. Skov. Hans Reitzel 1998. Iconicity. A Fundamental Problem in Semiotics. Eds. T.D. Johansson, M. Skov & B. Brogaard. NSU Press (now Aarhus University Press) 1999. Kognitiv semiotik [Cognitive semiotics]. Eds. P.F. Bundgaard, J. Egholm & M. Skov. P. Haase & Søn 2003 (reprinted 2006). 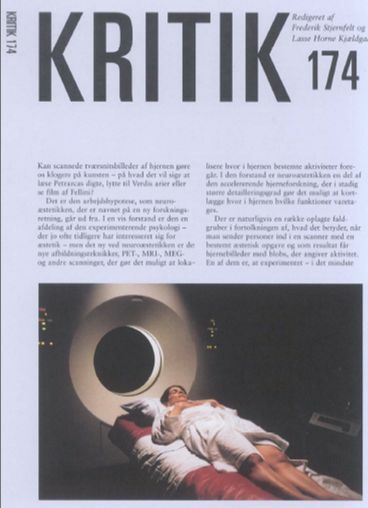 KRITIK 174. Special issue on “neuroaesthetics”. Eds. L.H. Kjældgaard, M. Skov, F. Stjernfelt & N. Zeuthen. Gyldendal 2005. Følelser og kognition [Emotion and Cognition]. Eds. T. W. Jensen & M. Skov. Museum Tusculanum Press 2007. Reviews [in Danish]: Dennis Nørmark in Jyllands-Posten; Torben Rølmer Bille in Kulturkapellet. Neuroaesthetics. Eds. M. Skov & O. Vartanian. Baywood Publishing Company. NEW. OUT NOW! Together with Thomas Ramsøy he is also working on a book on how the brain computes preferences and decision-making. More on this to come. Thank you so much for your information on Neuroscience and Music, and the link to the Annals of the New York Academy of Sciences! Your blog was easy to navigate, and really useful! Research successful ( thank you) especially because there is so much junk floating out there. Where to meet and discuss the book on neuro-esthetics? I have just met with Hjortkær today.